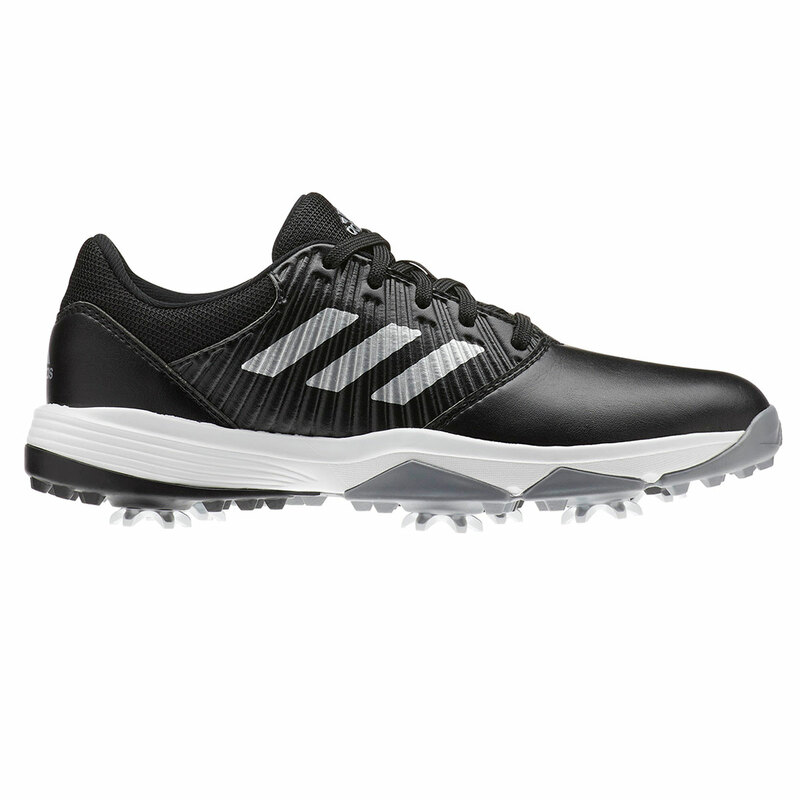 The all new adidas Golf Junior CP Traxion Shoes. These fantastic shoes have been designed with comfortability in mind. The soft and comfortable feel, allows you to play to the best of your ability, without the risk of your feet becoming fatigued after prolonged periods of play, making these the perfect garment for every junior golfer. 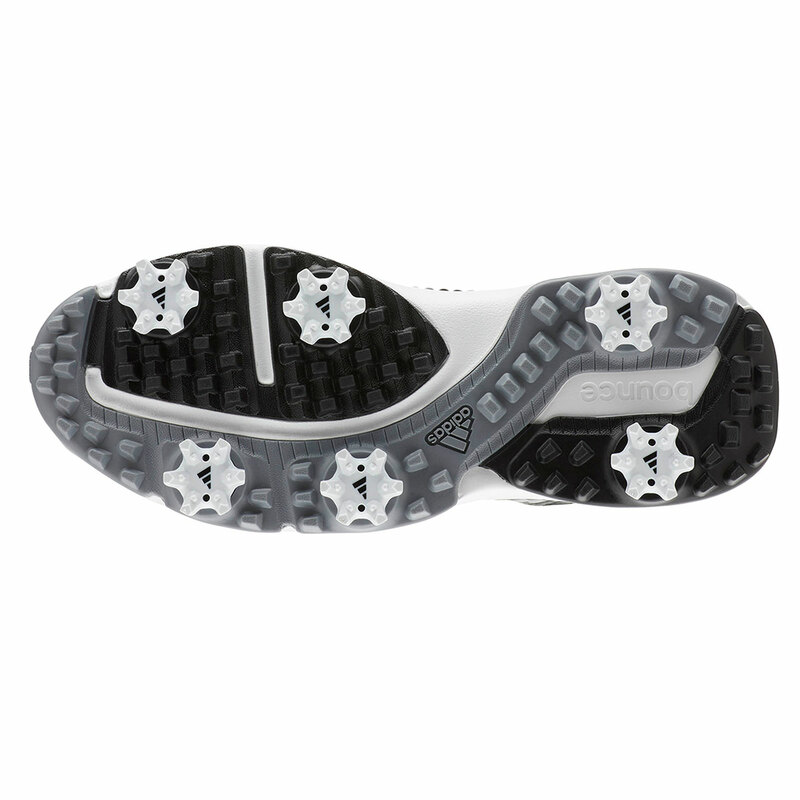 The flexible bounce midsole cushioning helps to provide an extra layer of comfortability. 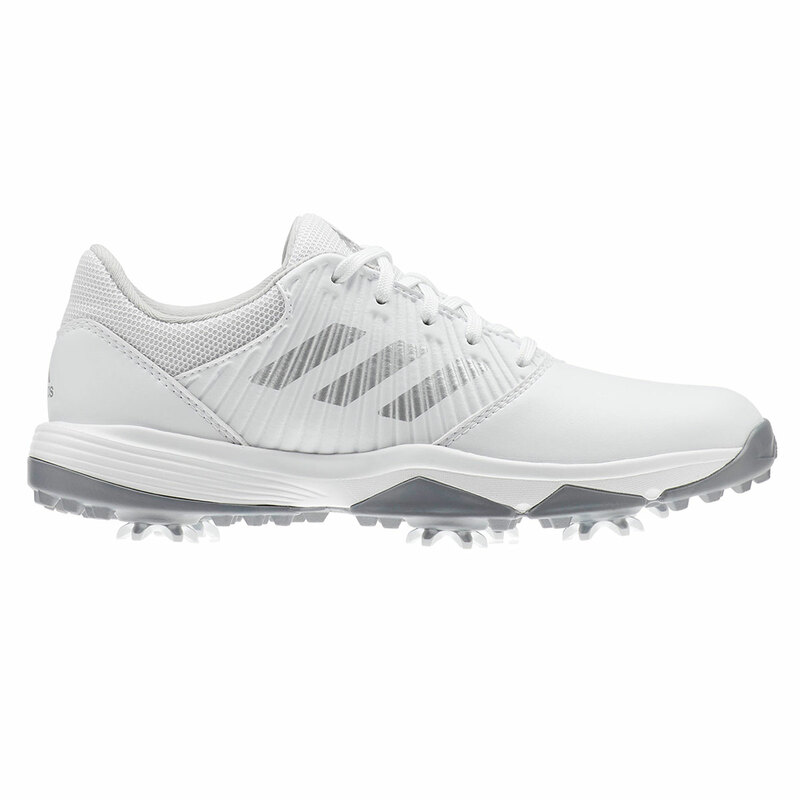 These shoes have enhanced traction thanks to the six-cleat low-profile Thintech EXP outsole, allowing you to play in all weather conditions. 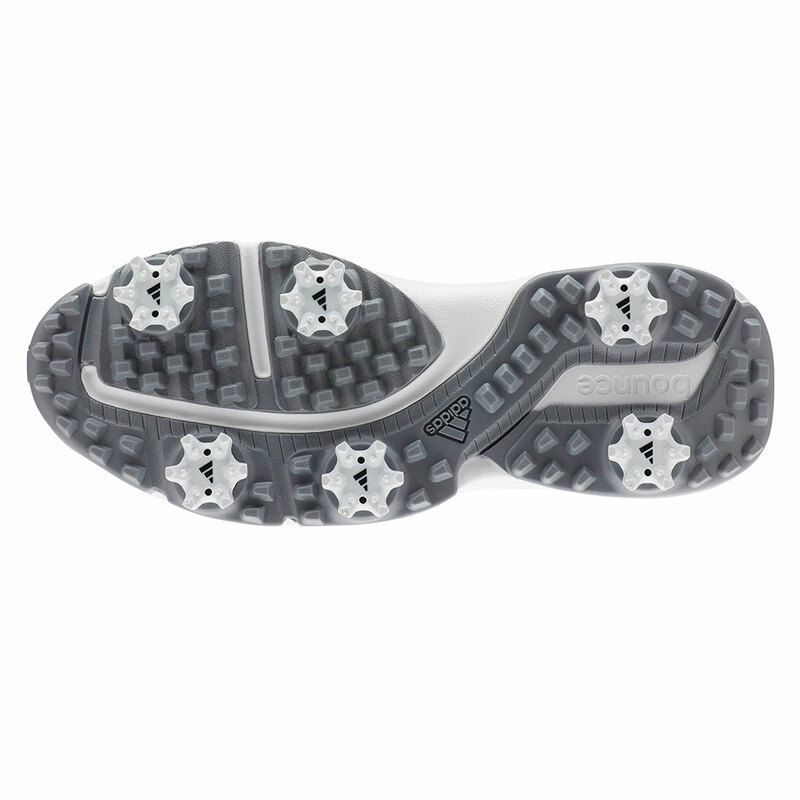 These shoes are also water-repellent and adidas offer a one year waterproof warranty on these fantastic shoes.